Recurring vs. Day Forward Scanning—Which Do I Choose? Recurring vs. Day-Forward Scanning — Which Do I Choose? If you are making the transition to a paperless office, there are several ways you can go about it. You can scan your documents yourself or hire a professional scanning service to take care of the scanning and organizing. But even beyond that, you have choices as to how to structure your project. The time and effort it takes to organize and implement a paperless office strategy are astounding. Having help from professionals will just scratch the surface in terms of how you can better manage your project. A big focus for any company making the switch to a paperless system should be finding ways to keep the project from causing inconvenience and inefficiencies for employees. 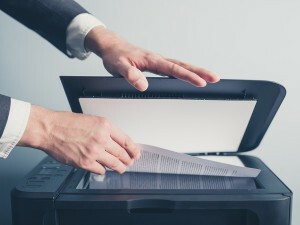 This article will discuss the advantages of using a scanning service, and the difference between recurring and day-forward scanning so you can select the best option for your business. Why Use a Scanning Service? Scanning services utilize the most up-to-date industry best practices to make the entire conversion process effortless. Scanning service providers also offer complete packages as they help you through your transition so that you are all set up once your documents are scanned. There is a huge variety of ways to store and catalog documents in your newly established electronic document management system, and scanning service providers will have the knowledge and tools to get you set up on the best system for your company. If your company accumulates new stacks of physical paperwork every month, a recurring scanning service is for you. Recurring services pick up your documents on a recurring schedule — it can be weekly, monthly, or quarterly depending on your needs — and scans them offsite, returning the digital copies once the project is completed. This type of scanning service is useful if you constantly acquire physical documents but manage everything electronically. Healthcare professionals, for example, benefit greatly from this type of service. Whenever new patients fill out paperwork, it needs to be transferred to a digital format to integrate with electronic health record-keeping systems. Legal practices also benefit from recurring scanning schedules. Dealing with the constant influx of paperwork from new cases (and keeping copies and records of files once a case is closed) easily becomes overwhelming. Outsourcing document scanning and having it done automatically once a month can greatly reduce office clutter. With this option, you choose a date in the future on which every record in your office must be digitally formatted. From that date on, your company carries out the process of scanning and indexing to maintain your digital system. Paper files are no longer a part of your document management strategy. Once your company is in the flow of maintaining a digital record system, you will have to decide what to do with your old paper files. Scanning service providers will set you up with options ranging from offsite records storage to large-scale scanning projects. And a safe option, if you won’t need to access your physical documents again, is shredding. Day-forward scanning is helpful if you find your company is making slow progress towards a paperless office. Choosing a date and sticking to it will jump start your transition. Plus, with help from document scanning service professionals, you will stay on track without much interruption of normal business operations. Businesses across industries can benefit from day-forward scanning services. 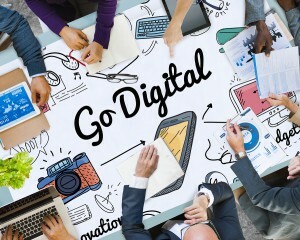 If your company is struggling with strategies and techniques for future digital implementation, day-forward services give you a timeline by which you must have a plan, and scanning professionals have experience and knowledge to help set you on the right path. Need Help Finding the Best Scanning Service for You? Call Record Nations! Creating and implementing an electronic document management system can be time-consuming and complicated, but the import of getting it done correctly the first time is huge. Record Nations partners with a nationwide network of scanning professionals who are equipped with the knowledge and tools to get your project started off on the right foot. Call us today at (866) 385-3706 or fill out the form on the right for free quotes on services near you. Our professionals will gladly answer any questions you have and connect you to the best service provider for your needs.